Hello! I thought that it was time to jump in and knock a little dust off of the blog here. Excuse my absence, but I've been working. I promise! I'll have lot's to share coming up. 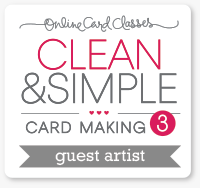 But in the meantime, I have a couple of cards along with a video to share with you today. Nothing too fancy...but definitely a little trick that is nice to have up your sleeve. And here are a few stills of the featured cards. The Design Team has been previewing our newest PURECOLOR collection and now it's time to give you the nitty gritty details of the South Beach collection, as well as host a quick giveaway! It's almost time. These newest inks will be available purchase at midnight on June 5th exclusively at wplus9.com. If you are just joining us, be sure to check out what the ladies have been up to here, here, and here. Still craving a little more? Check out this and this awesome technique from Kara. You won't want to miss this stunner from Joni either. And Maureen gives Valentine Wishes a tropical flair in this one. Before I go, how about that giveaway?! Leave a comment on this post by 10:00 PM EST tonight June 4, 2014. I would love to know which of the new colors is your favorite, or what color you would love to see in the future. 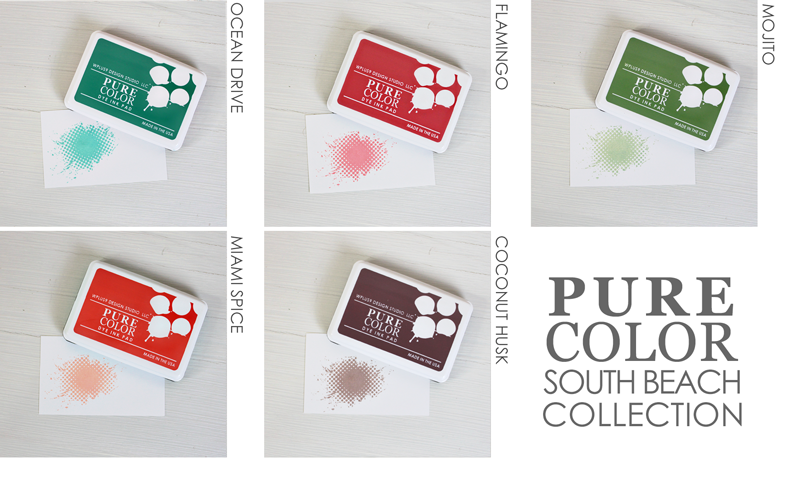 I will select one random winner from the comments to receive the entire South Beach Collection ink pads! Winner will be posted here. Thanks for stopping by today. Good luck! Hi there, It's Maureen here today. The design team has really been knocking it out of the park with the fabulous new PURECOLOR South Beach collection! And today, I have two cards featuring blending techniques using Ocean Drive. 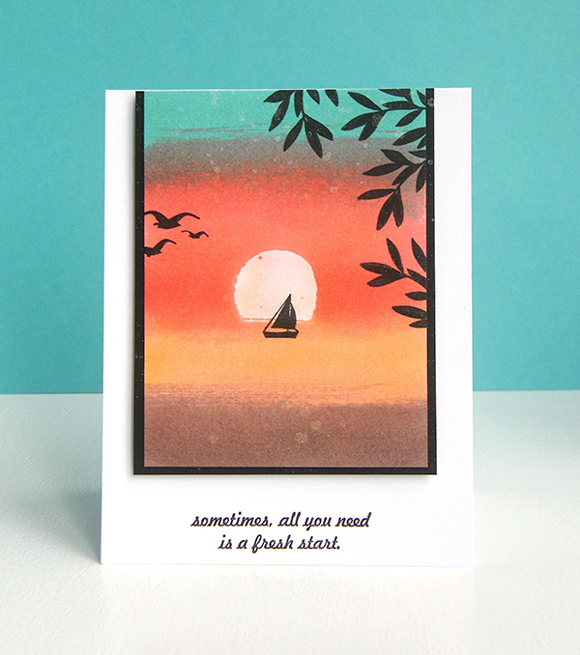 My first card uses Ocean Drive, Flamingo and Coconut Husk inks with two previously released colors. The new collection is not only perfectly coordinated to work together, but also works perfectly with the Original 10 Collection. 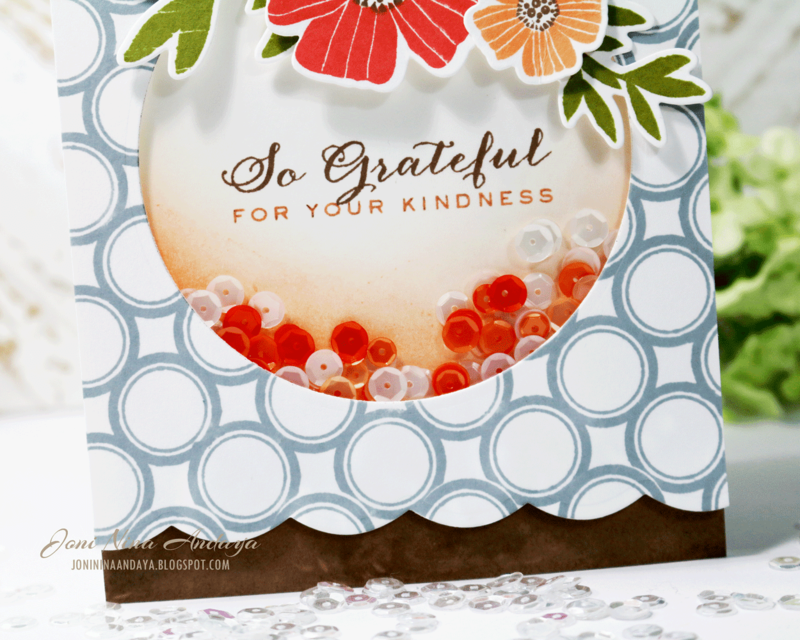 I started this card by stamping the leaves from Spring Blooms in Appletini Dye Ink. Then, using a blending tool, I sponged Ocean Drive all around the leaves, making sure to leave the spaces where the flowers would be stamped white. Then I went in and did the rest of my stamping. Adding Ocean Drive to the background really gave this one layer card the feel of dimension without adding additional layers. 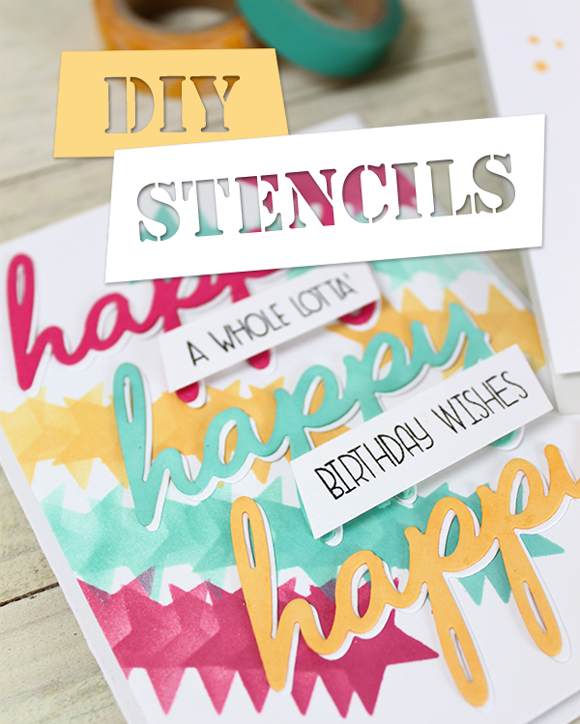 Who says you need coordinating card stock for every ink color? 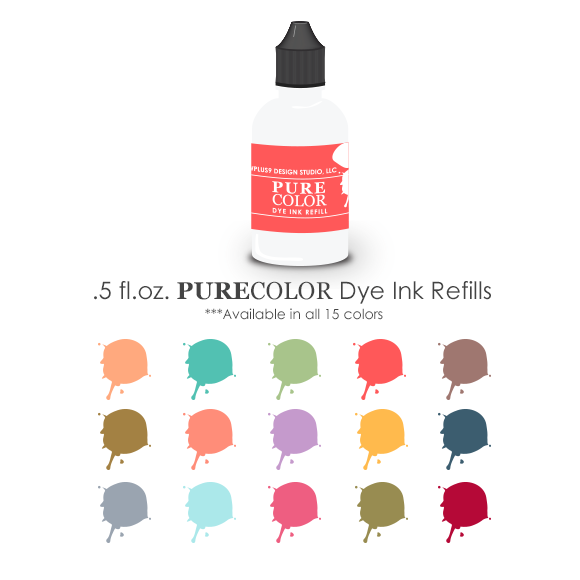 When you have a quality ink, like PURECOLOR Dye Ink, you can make your own colored cardstock easily! Here I used a blending tool and Ocean Drive dye ink and made a sentiment strip to match my project perfectly. I hope you've enjoyed my projects today! See you back here tomorrow for more before these beauties officially go on sale at midnight June 5, 2014! 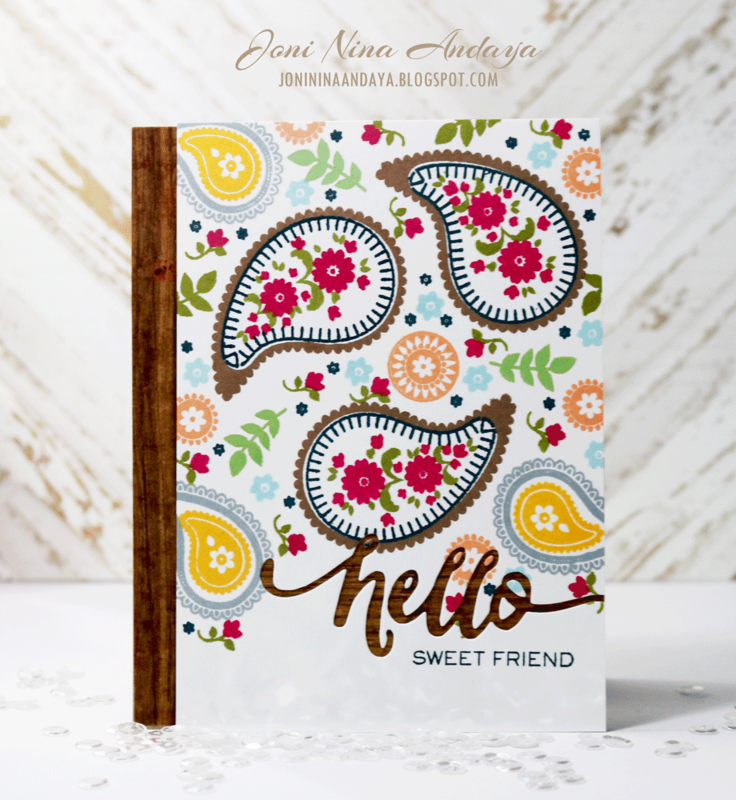 Hello...hello...Joni here! 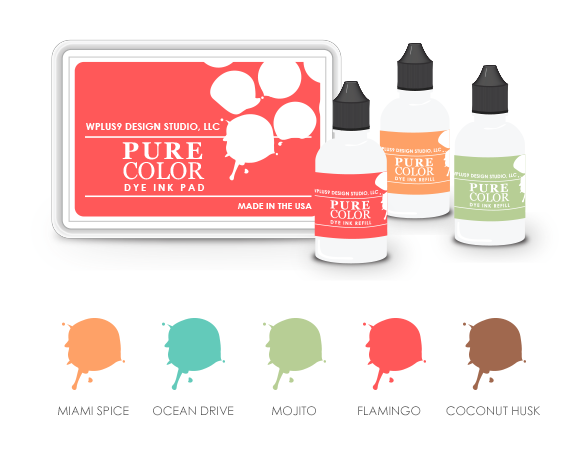 I hope you are loving the new PURE COLOR South Beach Collection so far. They really complement the Original PURE COLOR Collection. For my first project the inks I used are Flamingo, Miami Spice, Coconut Husk, Silver Lining, and Appletini. For the card base I smooshed the ink pad into the bottom of my card stock to dye it the Coconut Husk color at the bottom. 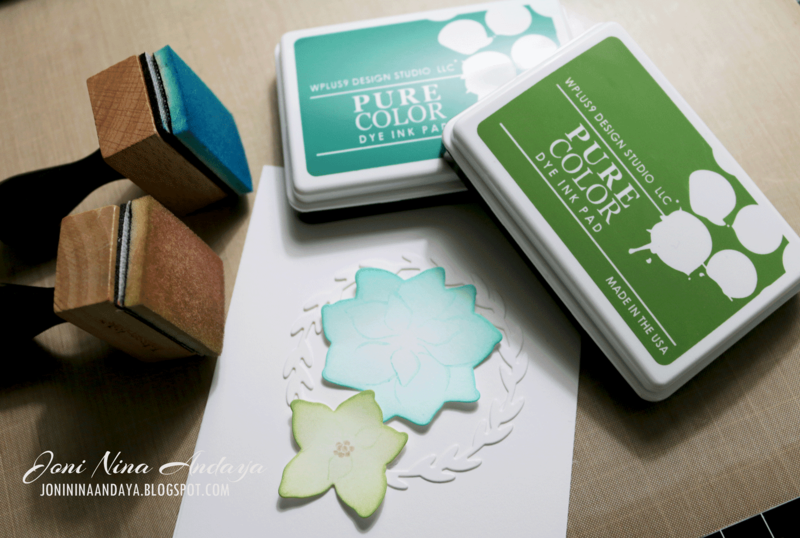 You can simply smooshed any of your PURE COLOR ink pads on any white cardstock for an instant colored cardstock. Next, I cut a panel same size as the A2 card base, stamped the image from Borders & Backgrounds 2 in Silver Lining ink and die-cut the bottom using the Scalloped Border Die. 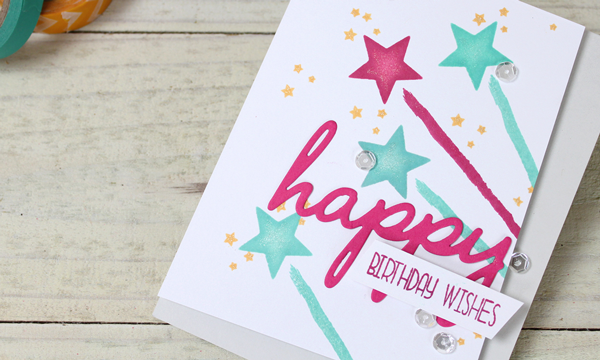 Then, I die-cut the center of the panel to create a shaker card, filling it with sequins from Pretty Pink Posh. For the sentiments, I used the stamp set Fanciful Feathers. 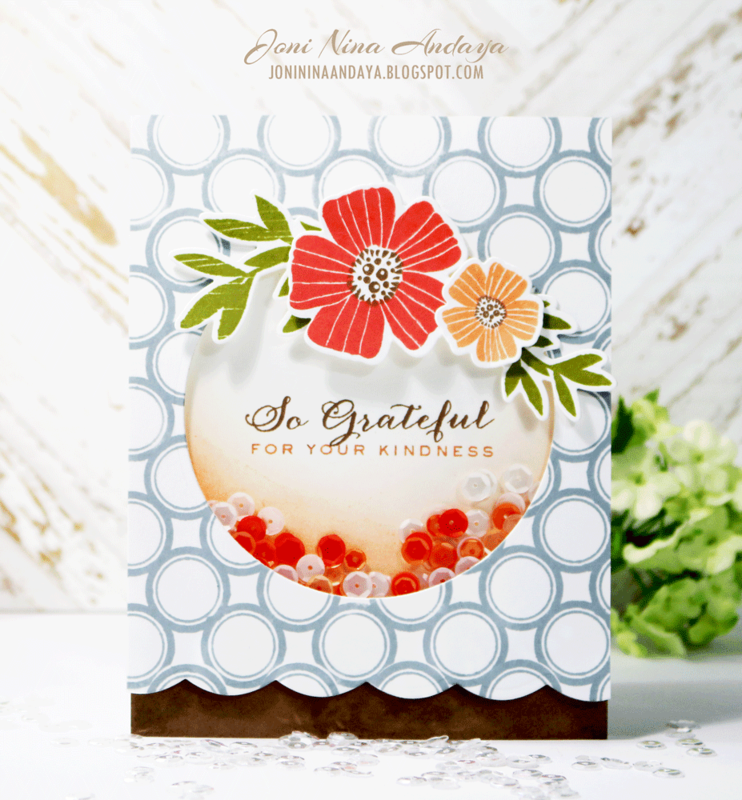 I stamped "So Grateful" in Coconut Husk and "For Your Kindness" in Miami Spice inks, both from the new South Beach Collection. 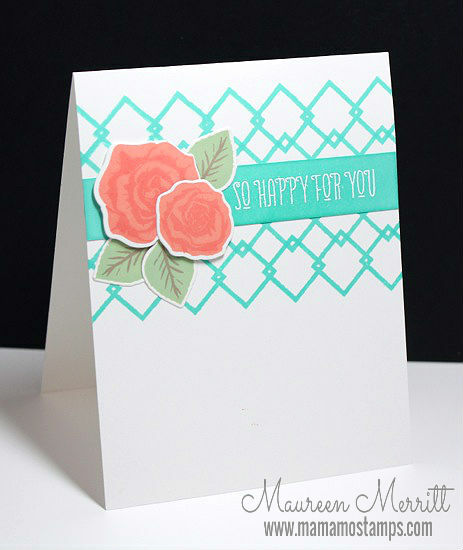 Before adhering everything together, I distressed the card base with Miami Spice. I wanted to give just the hint of the softness from the color scheme. You can see at the bottom of the sentiment just the right hint of peach..Love <3 this colors so much! For my second card, I used the Coconut Husk, Ocean Drive, and Mojito. 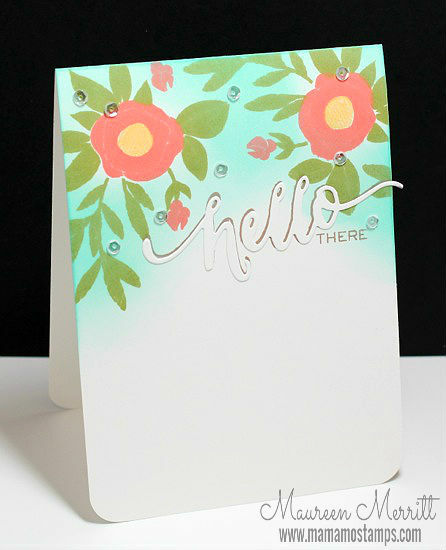 I started by stamping the tiny flowers from Valentine Wishes stamp set on by top panel of card stock. 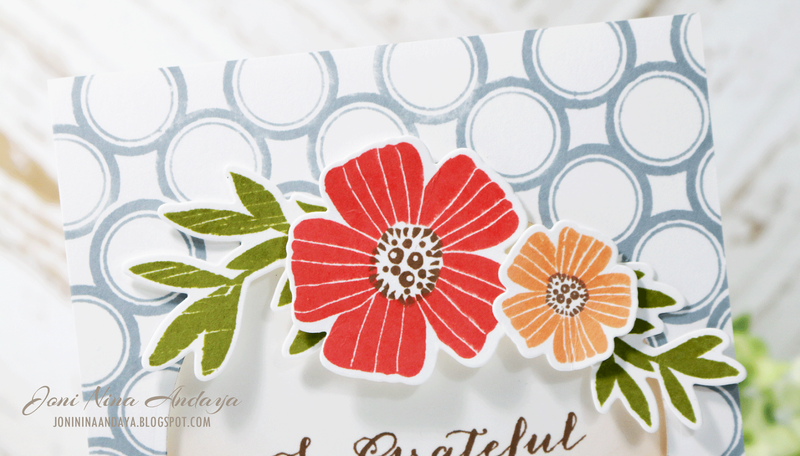 I used the Second Generation Stamping Technique for the flower background. I stamped it first on a piece of scrap paper and then stamped the image on the panel without re-inking the stamp. Next, I die-cut white cardstock and vellum using the Spring Wreath die and adhered them onto the panel. 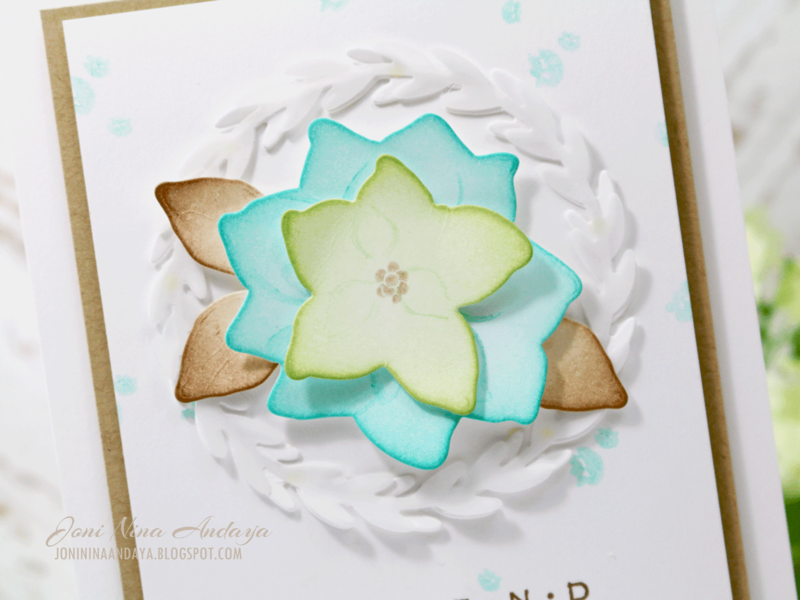 For the flower, I used the Pretty Poinsettias stamps and companion die. After die-cutting the flowers, I distressed them using Ocean Drive on the large flower, and Mojito on the smaller flower. So loving this color combo! The leaves are distressed with Coconut Husk. To finish the flowers I stamped some of the detail images using the Second Generation Stamping Technique. All the sentiments are inked with Coconut Husk. I'm really loving this shade of brown - not too dark and not too light. 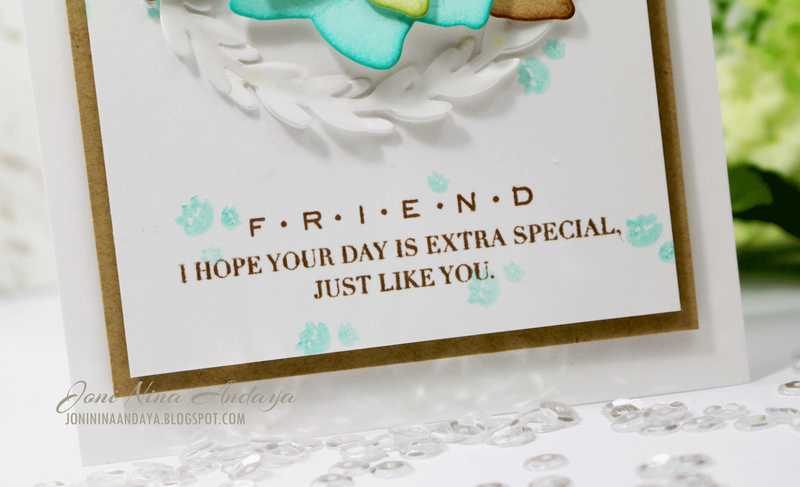 The "Friend" sentiment is from Fanciful Feathers, and "I Hope Your Day Is Extra Special Just Like You" is from Strictly Sentiments 4. For my last project, I went wild and used most of the inks in the collection, some original and some new. From the South Beach Collection, I used Coconut Husk, Mojito and Miami Spice. I also used Lake House, Silver Lining, Sweet Gelato, Nautical Navy, Appletini and Wild Mango. I used the stamp set Paisley Patterns , one of my favorites. To begin this card I cut a panel a little bit smaller than the regular A2 card. 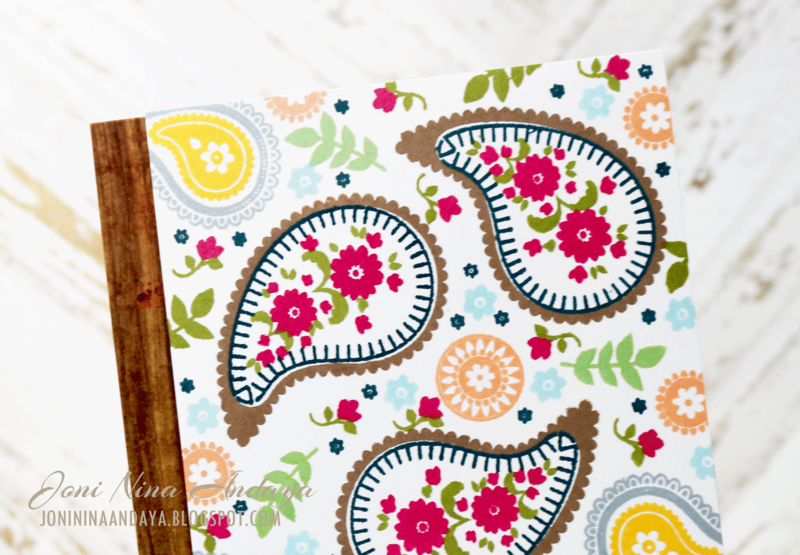 I stamped the larger paisley first and then filled them with the other images from the the set. For the sentiment, I die-cut the Hand Lettered Hello from the panel and then adhered the panel onto the woodgrain patterned paper from Crate Paper. 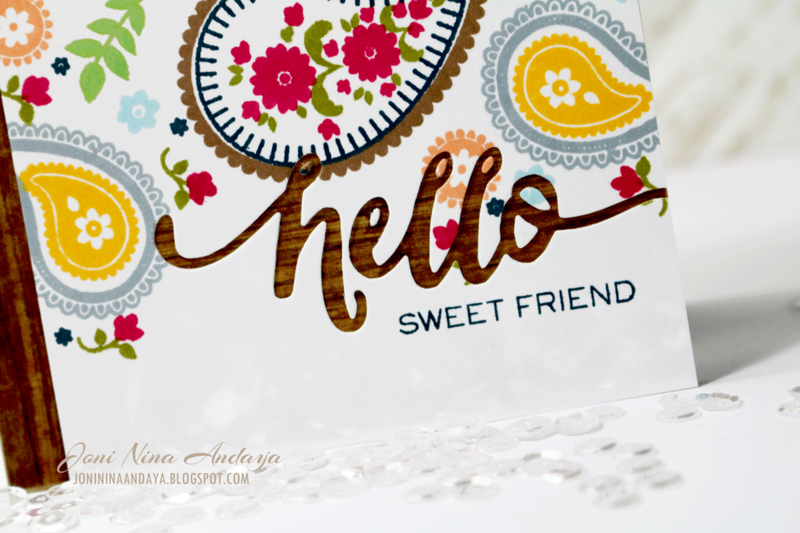 At the bottom of "hello" I stamped the "Sweet Friend" sentiment from the Hand Lettered Hello stamp set in Nautical Navy. I hope that you are enjoying viewing these FABULOUS ink colors! Remember, the South Beach Collection will be available for purchase on June 5, 2014, at www.wplus9.com as a whole collection and individuals. 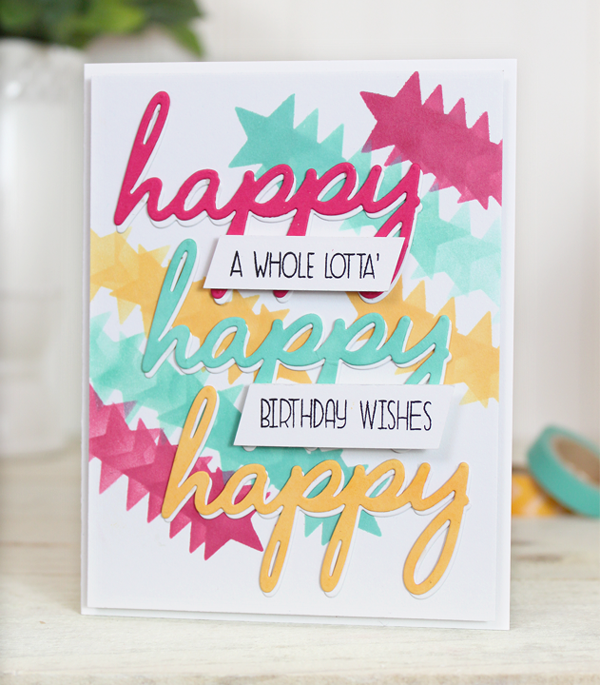 And be sure to stop by Kara's blog and Maureen's to see more of this new color collection in action! I know I am! This is Kara and after a long cold winter in the northeast I've been dreaming of somewhere warm, sunny, and full of color; somewhere like South Beach, Miami. It's no wonder Dawn chose this vibrant city as the inspiration for WPlus9's new Pure Color Dye Ink Collection! This new collection of colors will be available for purchase on June 5, 2014, at www.wplus9.com as a whole collection and individually. With names like Mojito, Miami Spice, and Flamingo, they really had me inspired. The colors are vivid and eye-catching! If you love the Original 10 Collection you are going to love these too. They have the same great properties that we love about the original inks, for example, the awesome coverage! 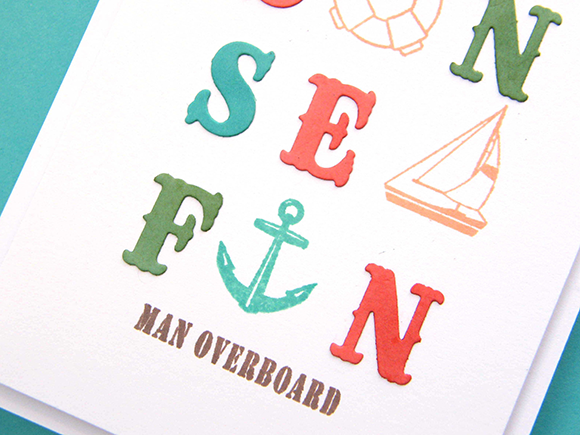 Each of these die cut letters has been colored with the new ink using a finger dauber. 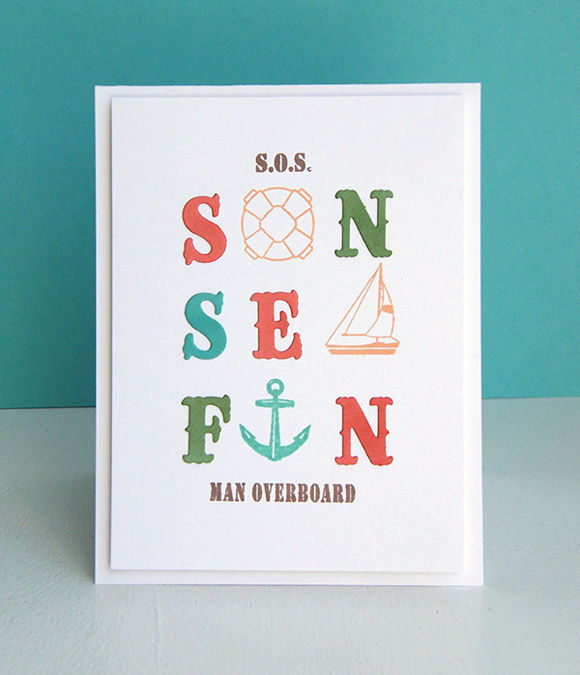 I used images from the Dockside stamp set to represent the letter in the word or the object that the word spells out. Several of the teacher's that I work with are retiring at the end of this school year. I made this card for one of them. I think it's a fun and funny sentiment for retirement. You can't think of Miami without picturing a sunset. The colors in this collection make a beautiful one. I created a mask for the sun by die cutting a circle and then trimming off the bottom slightly. Then I swiped the ink pads directly onto the card stock. With a finger dauber, I added just a bit of color to the masked circle so it wasn't a stark white. To create silhouettes, I stamped some leaves from Spring Blooms and images from Dockside in black ink. To finish it off, I sprayed the whole thing with shimmer mist to capture the feeling of scintillation. 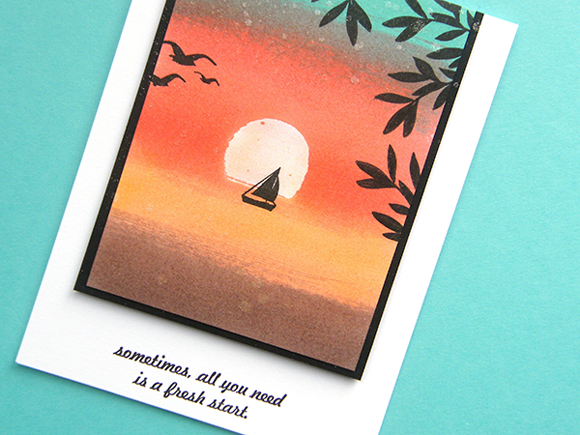 I chose a sentiment from Heartfelt Mix that reflects the feeling you get from a little R&R, refreshed and renewed. OK, now I need a vacation! Thanks for stopping by. In the days ahead Dawn, The Design Team, and I will be sharing more South Beach inspiration.